For anesthesia, resting energy (VO2) measurements and exercise stress testing. Absolutely the most comfortable and leak-free mask! Disposable (Single patient use) face masks which combine quality, comfort, flexibility and excellent sealing ability. Available in several adult and pediatric sizes. Head gear sold separately but included in the Starter Kit. 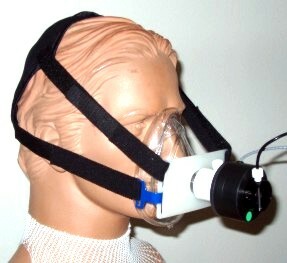 For anesthesia application use standard head strap. All kits include 7 medium masks, 3 small masks, 10 large masks, headgear, strap attachement plate and appropriate flow sensor adapter. 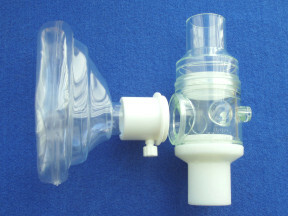 Photo below shows KM-Mask, KM-MIR Adapter and Y2700 valve.